Before he gets to that Bumblebee spin-off, Michael Bay has to wrap up Transformers 5, also known as “the last one of these I’m making, I swear.” The film, which is part of a planned Transformers trilogy that includes Bumblebee’s lone outing, is scheduled for release on June 23, 2017, and it doesn’t take the leader of the Autobots (or even Mark Wahlberg) to see that leaves all of 13 months to get this thing in the can. Make that 12 months—Paramount has just released a new promo for the film, which reveals its title and production start date. 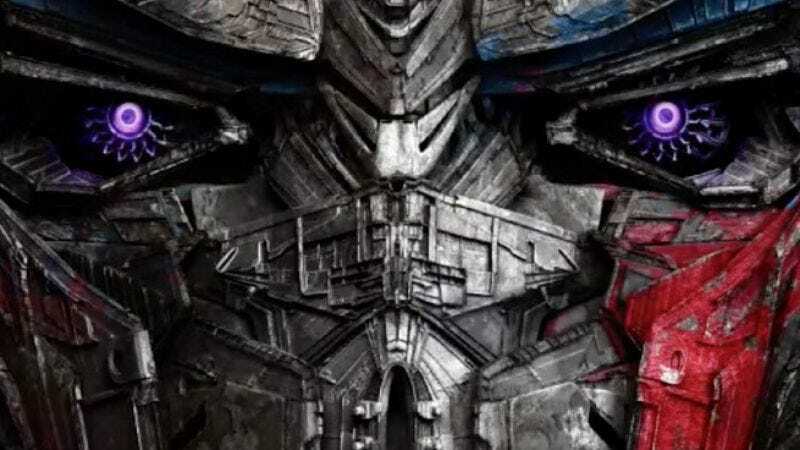 So it looks like Transformers 5 has officially become Transformers: The Last Knight. Combined with the new, worse-for-wear logo, the revised title could be hinting at a more medieval setting. Maybe Optimus Prime pops through a wormhole on the way back from his robot-god-killing mission and ends up traveling back in time. Or maybe he just saves Queen Elizabeth II’s life in the present and ends up knighted for his troubles. What are we saying? The last knight is obviously Mark Wahlberg.